Please Provide your feedback to PGPOA so we can better support your needs! CollegeParkHousing.org and Prince George's Property Owners Association, Inc.
We stand ready to serve the community's owners and tenants of single and multi-family rental housing in Prince George's County, Maryland, in particular, College Park. 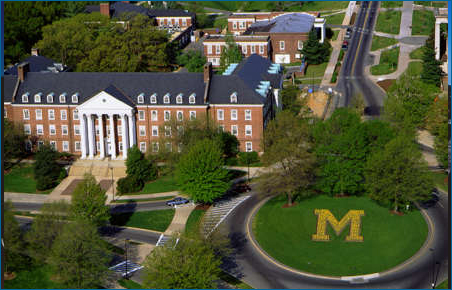 Our goal is to promote safe off-campus housing with an appealing location and value to tenants. We attempt to bring all rental housing to a higher standard of maintenance and management. FREE advertising of your rentals all year! Our Next PGPOA Annual Meeting is coming up on April, 17, 2019! Come listen to the professionals. Learn what you need to know and what you need to do. Bring your questions, mingle with other landlords and enjoy the food! We do FREE advertising to assist with your rentals. Have a question? Looking for a particular contractor? Don’t be caught unaware of changes in CP regulations! Our Listserv provides a great forum for your questions, concerns or comments. Click the membership tab above to join. YOUR RENTAL LICENSE IS AT RISK! The Prince George's County Nuisance Abatement Board (NAB) meetings are open for public viewing, but comments are not allowed by the audience. Plastic bags of any sort are FORBIDDEN in the recycling bins in College Park according to City and Prince George's County Law. Want to get more involved? Consider joining PGPOA’s Board for a year. 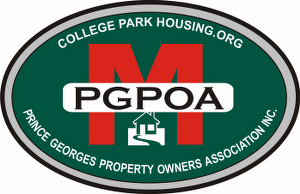 The PGPOA Certification Program provides landlords and their managers/agents with a thorough working knowledge of the laws governing the management, operation and maintenance of rental housing property in College Park. This program is biennial and open to all property owners who own and rent in College Park, MD. All participants are notified via PGPOA's CollegeParkHousing.org website regarding updates on city, state and federal code or law changes throughout the two-year program. All participants will be notified of their certification expiration date and invited to re-certify, completing a revised knowledge assessment. To obtain the required certification, 85% of the questions must be answered correctly. However, all answers can be obtained in recommended readings, for which access is provided by PGPOA, Inc.
A. The program seeks to educate prospective tenants (and possibly their parents) about the benefits of using a Certified Landlord who participates in this program. B. Certified Landlords are recognized with a certificate suitable for display, indicating that they operate within a high standard. This is a clear way to demonstrate that one is a professional landlord to prospective tenants, their parents, the City, community and University. C. PGPOA and the City plan to identify participants in an on-line registry, allowing others to verify that one is a Certified Landlord. This in turn will prompt others to look for members the next time they look for a property to rent. Lead Paint Registration Renewals due annually to avoid fines. All residential rental properties built prior to 1978 must be registered with the Maryland Department of the Environment (MDE) under the Maryland Lead Paint Risk Reduction in Housing Act. Student Rental - 6905 Baltimore Ave - Walk to Campus! GREAT HOUSE! WALK TO CAMPUS! Apartment for rent! Right next to metro! Need 3 tenants for Spring 2019! 5 bedroom house - walking distance to campus and downtown! New smoke alarm replacement in all rental units must have a sealed, long-life, tamper resistant battery with a timed silence button unless the existing alarms are hard wired and interconnected. After 12 years, Rent Stabilization is a part of the past as the College Park City Council voted at its June 17, 2014 Meeting by a 5-3 Decision to sunset the 2005 Ordinance.